TheRustedChain - The Blog: Move over, John Wayne. There's a new towboy in town. He's rough and he's tough. He's a fruit snack eatin', tie dye wearin', dirty faced sherrif. He's the meanest towboy in all of Tansas. He totes a "shooting gun" on his hip and band-aids on his knees. He keeps our farm safe. He is the cutest towboy ever! Love the sheriff's hat! It's so him! I know you'll treasure those photos for years to come! 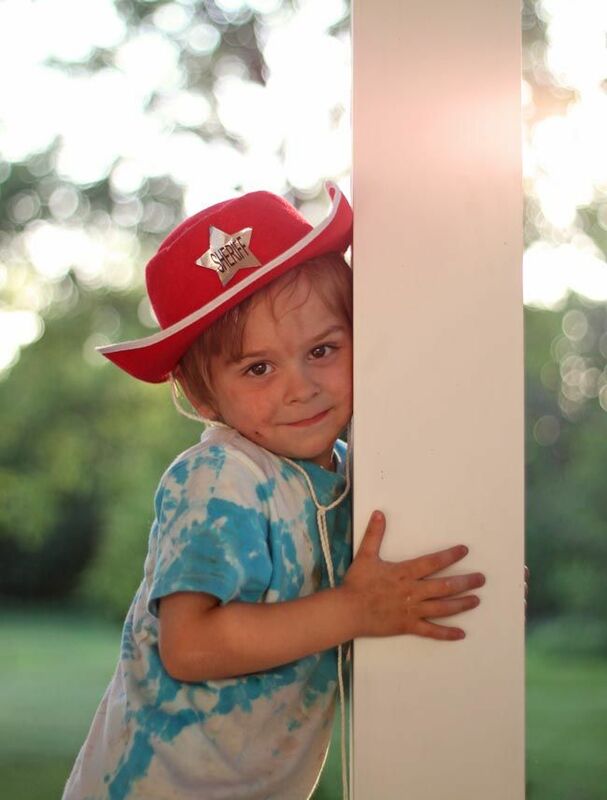 oh he's much cuter than our current sheriff! Simply adorable!! What little boy doesn't have a dirty face all summer? These picture are precious! Such sweet pictures of your little mischief maker! Priceless! So cute! He looks like a sharp shooter to me! 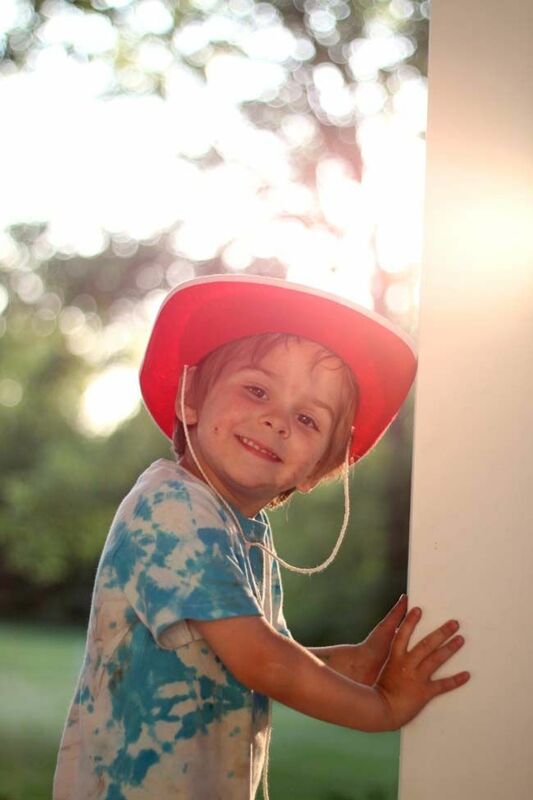 I kind of can't resist kids in tie dye. So. Thanks for the cute overload. "He's the meanest towboy in all of Tansas. " He is about as cute as cute can get. Seriously! HOW STINKIN CUTE!!! I love them! Oh good golly HOW could I of missed this??? 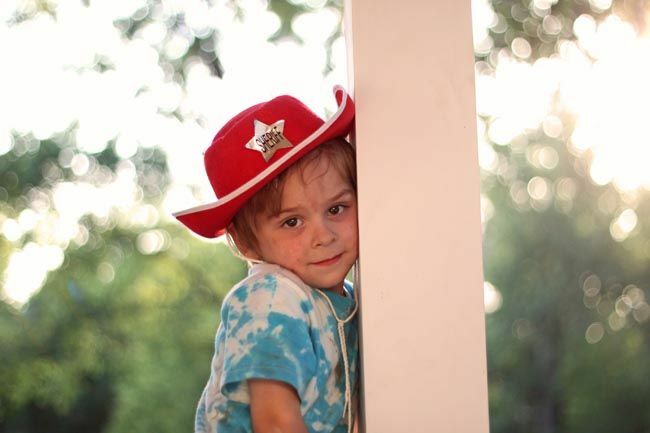 He is just the cutest cowboy around! Your towboy is totally precious! He is cuter every day. He is really photogenic and comes across as natural even though he's posing. No phony smiles there. Love the photos and that face! Beki...he is just precious! The child should model!!!!! 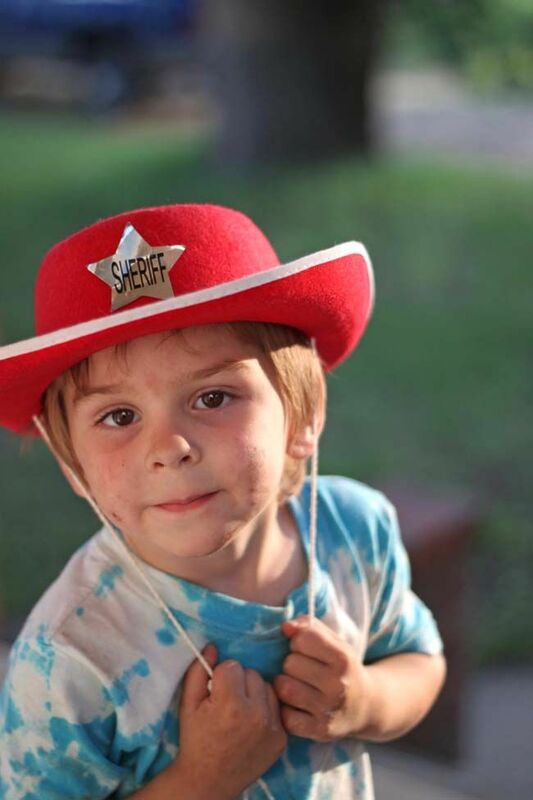 What a sweet looking sherriff you have! !